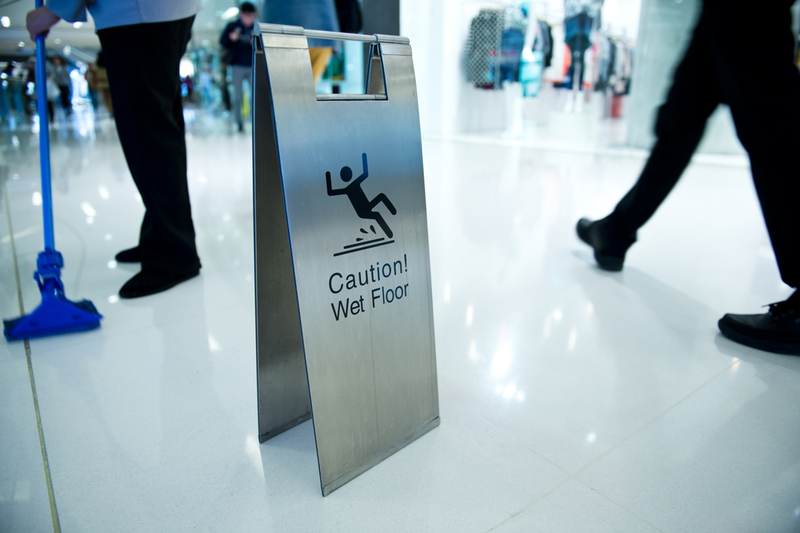 A wide variety of accidents can occur in public places but slips, trips and falls are some of the most common. This includes everything from falling down a pothole on a footpath to slipping on spilled milk in the supermarket. Who is responsible for the safety of the public? Local authorities and occupiers of places that are open to the public owe a duty of care to the public. If the local authority or occupier is negligent they will be liable to compensate those who suffer injuries as a result of their negligence. What is required of those who are responsible for the safety of the public? Local authorities are responsible for maintaining and repairing footpaths and roads. They will have failed in this duty if there are large potholes, protruding tree roots or uneven paving stones. If any of the above causes you to trip or fall, you should photograph the offending object and contact the local authority. They may wish to settle your claim. If they do not, you will have the photograph as evidence for when your case goes to court. The duty to maintain paths extends to removing ice and snow when it is reasonable to do so. If the snow has just fallen and you slip, it may be decided that it was not practical for the local authority to have cleared the path. However, if snow or ice has been gathered on a main route for several days, it is unlikely that the local authority will be able to claim it was not practical for them to deal with it. If you slip or fall on snow or ice you should again contact your local authority. Local authorities and private owners of public places owe a duty of care to those with whom they have a proximate relationship. Another common cause of slipping is wet floors. Whether the wet floor comes from rain or a spill, the occupier will be liable for any injury caused by it if they were negligent in the way they dealt with the situation. The occupier of the public place will be negligent if they fail to do something that a reasonable person would have done in the same circumstances. For example, if the public place has a floor that will be slippery when it is wet, a reasonable person adhering to health and safety guidance, would put up a wet floor sign. Similarly, if something is spilled in a shop it should be cleared up and a wet floor sign erected. Are those who are responsible for the safety of the public responsible for hazards caused by others? If a member of the public has left something lying in the street the local authority may not be responsible if someone trips on it. It is not reasonable to expect the council to be able to remove all debris from all streets all of the time. However, if slippery packaging is dropped on the floor of a small shop by a customer the shop owner may be responsible for any injury caused by other customers slipping on it or tripping over it. This is because it is reasonable to expect the occupier to know exactly what is going on in a small space. What must you show in order to bring a successful claim for compensation? In any of the above situations, and any other possible slipping, tripping or falling situation you can imagine, what is important is establishing negligence. The owner of the public property must have failed to act as the reasonable person would have done in the relevant situation. Once you have established they have been negligent, you must proved that your injury was connected to their negligence. If you can convince the occupier of the public property of this, they may wish to settle to case to avoid going to court. If they make no such offer, or you are not satisfied with the offer, you will have to go to court if you wish to pursue your claim. If this is the course of action you take you will need to prove the facts on the balance of probabilities. You will require evidence in order to do this so taking photographs of the scene of the accident and your injuries is advisable. Contacting a solicitor who will provide advice from the outset and will represent you in court if need be is advisable.